What’s it like to intern at Seedcamp? Interning at Seedcamp is a great way to achieve hands-on experience in what it takes to work at one of the most proactive seed funds in the world and is a great induction of fire for anyone looking to move into venture capital or understand what it takes to get a business off the ground. It’s a fast-paced and fully immersive experience working closely with our investment and operational teams to ensure we’re investing in world-class founders and supporting our portfolio companies day-to-day. We asked Halsey Huth, now Associate at Tech City Ventures, to share some of his experiences of moving to London from the US and what he learned during his six months internship as an Analyst at Seedcamp. I wanted to work in Venture Capital, so I moved to London. I had never been to London. It was 9 am when the wheels touched down at Heathrow Airport. I was welcomed by the flight attendant informing me that the layers of fog that covered the runway would be the standard affair for London weather. I had just graduated from Sewanee: the University of the South, packed my bags and flew halfway around the world to get a taste of what life was like within the world of Venture Capital at one of Europe’s leading early stage funds, Seedcamp. This was June 20th, my first day in London and the start of an adventure that would take me all across Europe meeting exceptional people and working with startup founders that are actively trying to change the world we live in. It was an amazing experience to be at Seedcamp in, 2016, the fund’s strongest year on record. Not only were seed investments made into 35 companies spanning from Legal Tech to VR, and AI to marketplaces but we also broke the traditional taboo on investor returns – revealing that we’ve returned close to 2x on our first fund, dating from 2007, with four exits this year alone (including the multi-million dollar sale of Stupeflix to GoPro). As an analyst on the investment team I had the ability to get a first hand look at what early stage tech investment really is. Seedcamp saw more pitches, ideas, and hopeful entrepreneurs than I thought possible. In 6 months I got to pour through 1,400+ startup businesses looking for early-stage investment. I learned how to focus on the founding team themselves and the vision of a product over traction and current revenue. I learned to look at problems not as issues, but as opportunities that could be solved with technical solutions and the right team to execute on it. 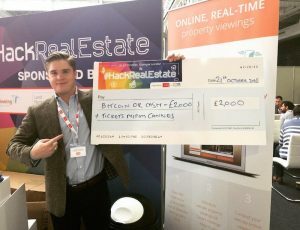 I was the dedicated analyst for anything property tech and real estate tech related investments – and helped to build out the deal flow pipeline for a new prop tech specific fund, Concrete, officially launched in 2017. On the operational side I wore a series of hats. I got to focus on supporting our portfolio companies by managing our Office Hours and Mentoring network – connecting brilliant leaders in the tech industry to help our founders. In September I helped plan Seedcamp’s inaugural COO Summit in partnership with PwC. I connected one founder with a large corporate in the US to launch a pilot program. On top of this I got to absorb the functional knowledge from our Experts-in-Residence and academy sessions to learn best practices in raising capital, growth hacking, business development, pr & marketing, and hiring for early stage companies. This was my first time in London, I knew a handful of people, none of whom worked in tech. So as far as networks go, I was a little behind. Luckily Shoreditch is a place that almost every night of the week you can find some sort of startup event to attend and learn from. Whether it’s a panel discussion on Artificial Intelligence – like the one we held with Northzone – or a Lisbon Tech event held at Runway East, everywhere there was an opportunity to meet someone new and build relationships. I joined Seedcamp with a background in investments and business operations, and the only coding I had done was a few courses on CodeAcademy. So I knew that I needed to fill in some knowledge gaps. Seedcamp was always filled with mentors, Experts-in-residence, and titans of the tech industry – that were always open to share their insights or grab coffee. I would sit next to founder teams building products in artificial intelligence, rocket dynamic modelling, cryptocurrency analytics, cyber security, and some of the most technologically advanced visions I had ever seen. This caused me to learn and try to absorb as much information from them as possible. I even joined a running group called “tech runners” just so I could get more acquainted with the people in the industry and learn from them. In my honest opinion the best way to learn anything is to get dropped in the proverbial deep end – and try to swim. By putting yourself in new and challenging situations, you learn (and fail) fast. The failure isn’t always a bad thing, because you need to understand that being in this industry causes you to learn a lot at a very accelerated rate. One of my favourite aspects of my internship was the flexibility that the Seedcamp team gave me to take on new projects. If I had the bandwidth for it, I was able to create new projects and work with whoever I wanted. This enabled me to work with Miguel, our tech lead, on new workflow software for our Office Hours and Mentoring program; help run a hackathon at the MIPIMUK Conference with Gary Chimwa from FUTURE:proptech; travel to five new countries and learn more about technology trends in 6 months then I thought possible. My six months with Seedcamp was an incredible experience and opened me up to a huge network of amazing people and I’m thrilled to have secured a job which means I can stay in London and continue to work in the industry. I would highly recommend it for anyone with a real passion for tech, startups and a desire to just absorb as much information as possible.